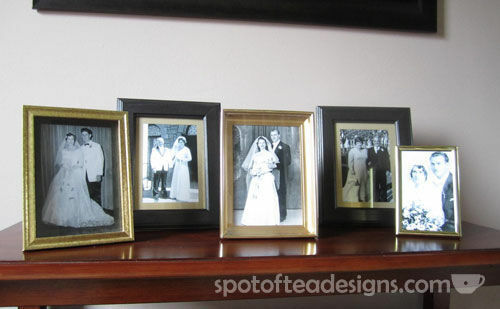 Ever since I was little, I have loved old photos and genealogy. So when I saw the trend of using family wedding photos at the wedding, I knew I wanted that for our big day. 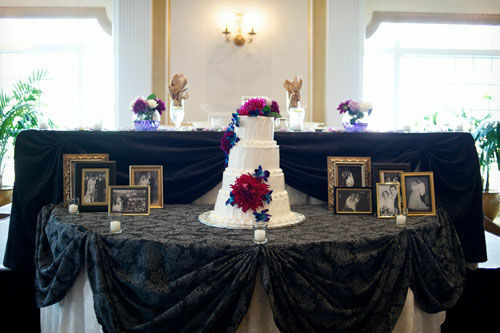 With the wedding palette of black, white and gold, it was easy to borrow old frames from family or find cheap at places like Ikea or thrift stores. But I went one step further to make sure they worked together. I used my metallic black and gold cardstock and cut new mats to keep the color palette consistent. exhibit A: a selection of the frames I planned to use. While white was a color palette for me, the area I planned to put the frames did not include a lot of white and I thought it was too bright of a contrast. Next, I cut the card stock to match the full width and height of the frame inside. I made sure the 4×6 and 5×7 prints would fit inside then measured on each side to create my marks for the mats. 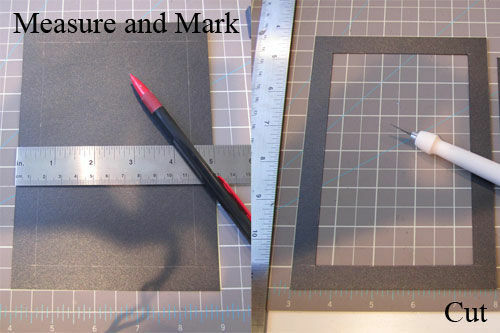 Using a ruler and my craft knife, I was able to cleanly cut new mats for these frames. 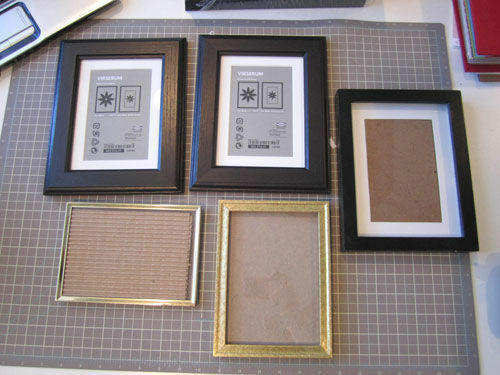 Doesn’t it make this mismatch frame collection look more cohesive with the matching mats?